Great texture. Color spot on. Does shed a little if on darker fabrics. Tweed-inspired patterning and contemporary hues deliver transitional charm to this texture-rich pillow. 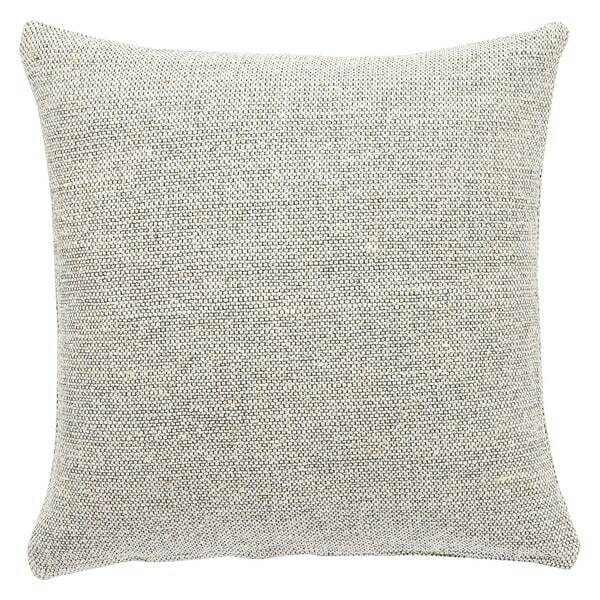 Crafted of luxurious raw silk and woven into a twill design, this cushion showcases a white and grey colorway for an on-trend look. Very nice pillow, color is very pretty. "Does the cover zip off?"